Ripple vs Ethereum: Learn What's The Better Alternative? So, you’ve heard about Ripple and Ethereum, but you’re not quite sure what the difference is? Well, you’ve certainly come to the right place, as in this Ripple vs Ethereum guide, I’m going to tell you everything you need to know! By the way, did you know that on December 29th 2017, Ripple overtook Ethereum to become the second most valuable cryptocurrency in the world!? It didn’t last long, but hey they still did it! Anyway, in my Ripple vs Ethereum comparison guide, I am first going to start by comparing the basics of the two projects, as well as how well they perform. After that, I am then going to take a look at their main team members, followed by the consensus mechanisms they use. Finally, I will then talk about how the two projects have performed so far! So, what are you waiting for? Let’s dive into the first part of my Ripple vs Ethereum guide and look at the basics of each blockchain! 3 Who’s on the Team? 4 Ripple vs Ethereum: Reaching Consensus? Both Ripple and Ethereum are cryptocurrencies that run on top of blockchain technology. This allows people from any location in the world to send and receive funds in a matter of seconds. Ethereum, launched in 2015, was founded by Russian-Canadian developer, Vitalik Buterin. Ethereum became the first blockchain project to allow people to create and enter in to smart contract agreements. As a result, it expanded on Bitcoin’s capabilities, which is only suitable for financial transactions. A smart contract is an agreement based on pre-programed conditions, which can then automatically process a transaction when these conditions are met. As a quick example, take a look at the following situation. John and Bob want to bet on the outcome of the soccer World Cup. John and Bob enter in to a smart contract which states that if Brazil win the World Cup, John gets 10 ETH. However, if they don’t win it, then Bob gets 5 ETH. John must then put 10 ETH in to the smart contract and Bob must put in 5 ETH. The Ethereum blockchain is able to search thousands of websites to find out who won the World Cup. As soon as the result is confirmed, the smart contract will either pay out John or Bob automatically. All of this is achieved without a trusted third party. As you will notice from the above example, Ethereum does not need a third party to confirm or verify a transaction, meaning that it is ‘decentralized’. This means the network isn’t controlled by any single person or company, nor a central bank or government. Instead, a transaction is verified by the Ethereum community, otherwise called ‘miners’. 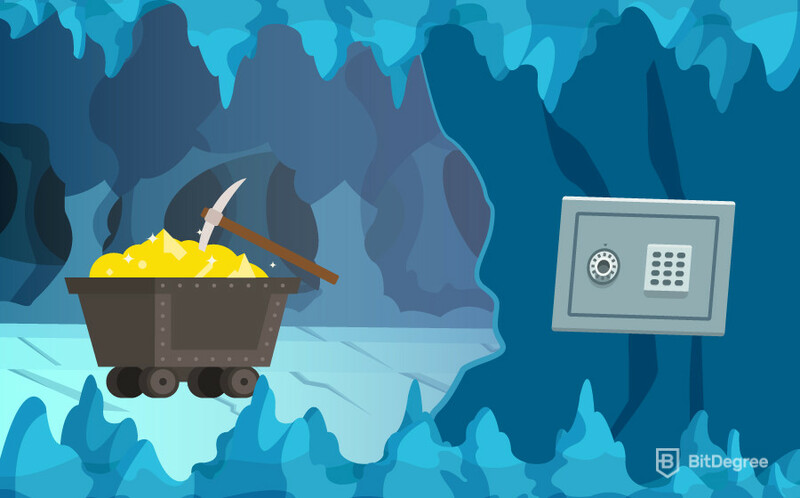 Miners simply connect a specialized device to the Ethereum network, which allows them to confirm transactions on the Ethereum blockchain. This removes the need for a third-party intermediary. Anyway, the Ethereum blockchain has its own cryptocurrency called Ether (‘ETH’ for short). Unlike Bitcoin, which will be capped at a maximum of 21 million coins, there is no maximum limit to the amount of Ether that can be issued. However, according to its founder Vitalik Buterin, this amount will soon be capped to about 100 million coins. At the time of writing in July 2018, the current supply is actually just over 100 million ETH, indicating that no more coins will be issued soon. So now that you know what is Ethereum, the next part of my Ripple vs Ethereum guide is going to look at what is Ripple! The Ripple blockchain was first created in 2012, three years before Ethereum. It was designed, built and launched by a private organization called Ripple Labs. Ripple labs are located in San Francisco. The objective of the founders was to create a blockchain protocol that could challenge the cross-border payments system that is used by banks to transfer funds overseas. Interestingly, although Ripple Labs are focusing specifically on the banking industry, anyone can use the Ripple blockchain to send and receive funds. Anyone can also trade the Ripple coin (XRP) on the open market. There is often a bit of confusion about the difference between Ripple and XRP, which I will explain in simple terms. The blockchain protocol that allows people and banks to send and receive funds is called ‘Ripple’. This is the actual technology that supports the network. 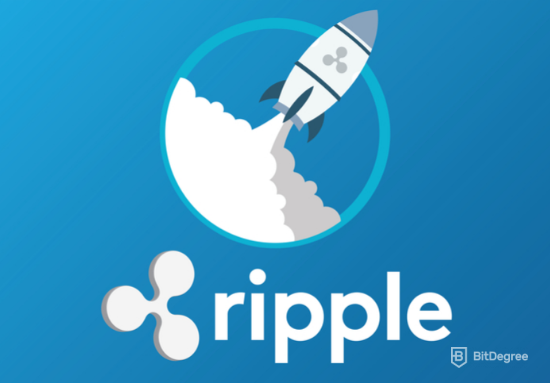 The name of cryptocurrency that runs on top of the Ripple blockchain is “XRP”, which is used to represent value. Just like Ethereum, the Ripple protocol requires no intermediaries or third parties to verify a movement of funds, meaning that instead, people can send and receive XRP coins on a completely peer-to-peer basis. Note: Peer-to-peer is another way of saying “Person-to-person” and simply means that people exchange value directly, without a third party. At the time of writing in July 2018, there are 60 billion Ripple coins in circulation out of a maximum of 100 billion. 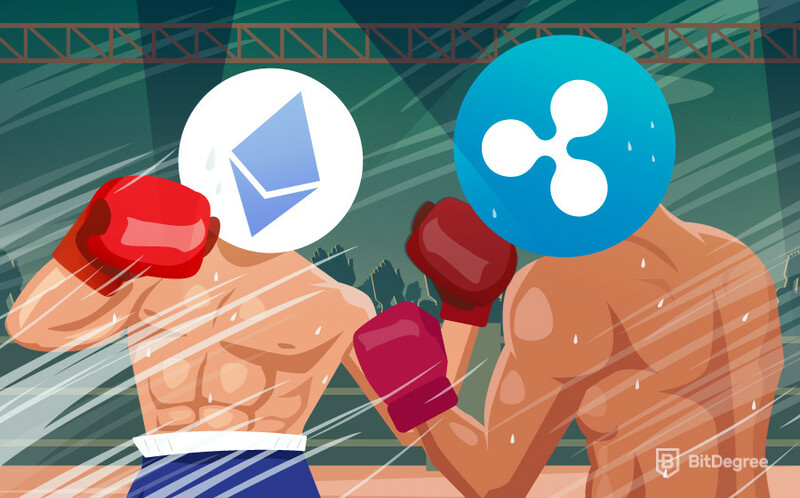 So, now that you know what is Ripple and Ethereum, the next part of my ‘Ripple vs Ethereum’ guide is going to look at how both blockchains perform! When a user decides to transfer funds to somebody else, the Ethereum blockchain is able to do this in approximately 16 seconds, no matter where the sender or receiver is located. This is actually much faster that the Bitcoin blockchain, which normally takes about 10 minutes. Just like Bitcoin, the Ethereum blockchain has become really popular, and transaction fees are starting to get a bit more expensive. During its busiest period in January 2018, transaction fees averaged $4, meaning that it became uneconomical to use Ethereum for transferring small amounts. However, at the time of writing in July 2018, this has since been reduced to less than $1. An even more worrying issue for the Ethereum developers is the network’s ability to “scale” transactions. When people talk about scalability, it is used to understand how many transactions a system can handle, and whether it can grow with the amount of transactions going through it. Even outside of the blockchain industry, each system has a maximum amount of transactions it is able to scale to. For example, payment issuer Visa is able to process a maximum of 50,000 transactions per second, which is almost 30 times more than it actually needs to process! Unfortunately, Ethereum is only able to process a maximum of 15 transactions per second. It needs to improve on this significantly if it is going to be used on a global basis, especially if it wants world-wide adoption of its smart contract technology. To give you an idea of why this is a problem — in late 2017, the Ethereum network almost crashed when the popular Ethereum dApp Crypto-Kitties was processing way more transactions than the system could handle. The team are aware of these problems and are working on a few solutions, which I will briefly mention later. Anyway, now that you know about the performance levels of Ethereum, the next part of my Ripple vs Ethereum guide is going to look at how Ripple compares! When it comes to the performance of the Ripple blockchain, there are some clear differences. When a user sends XRP coins to another person, it takes on average 4 seconds before the transaction is verified. Although Ethereum is still very good at 16 seconds, this makes the Ripple blockchain about 4 times faster. Transaction fees are also significantly lower when using the Ripple blockchain. There is a standard fee of 0.00001 XRP for each transaction. Even when XRP reached its all-time high of $3.29 in early 2018, this amounted to just $0.0000329! This amount is so low that it is practically free to send funds using Ripple. One of the most important aspects to the Ripple vs Ethereum argument regards scalability. I mentioned earlier that Ethereum can only process about 15 transactions per second. Well, Ripple XRP can actually process about 1,500 per second, which is significantly more than Ethereum! Ultimately, in terms of performance, Ripple is certainly the better blockchain for processing transactions. In fact, this makes Ripple’s technology highly suitable for the cross-border payments industry that they are targeting. Practically every bank in the world is currently using a financial intermediary called SWIFT, which allows banks to trade on an international basis. However, the SWIFT system is slow and expensive, meaning that Ripple is ideal for inter-bank transactions. So, now that you know how the two blockchains perform, in the next part of my Ripple vs Ethereum guide I am going to briefly talk about the two teams! The main team supporting the Ethereum project is the Ethereum Foundation, who are made up of a group of highly skilled developers. The Foundation are responsible for promoting, developing, supporting and educating people about the Ethereum platform. 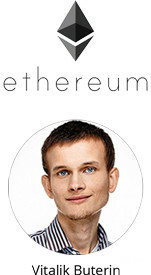 This team is led by the original founder of Ethereum, Vitalik Buterin. However, as a decentralized and open-source project, for any changes to be made to the Ethereum platform, they must receive a majority vote by the community. An example of this was the infamous ‘Ethereum Split’, which resulted in Ethereum breaking free from its original blockchain, which is now called Ethereum Classic. The majority of Ethereum users wanted to create a ‘fork’ of the original blockchain, because a hacker had stolen more than $50 million worth of ETH. If the majority of people didn’t want to do the fork, then it wouldn’t have been possible! On the other hand, Ripple XRP is slightly different. It is managed by parent company Ripple Labs, who have the ability to make changes to the underlying technology. Ripple Labs are based in San Francisco and they are the ones that form partnerships with the financial industry. 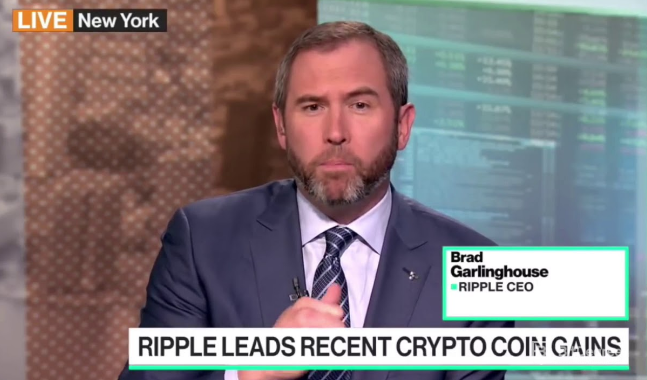 The main face of Ripple is the organizations’ CEO Brad Garlinghouse. Garlinghouse is very well-known because he often makes public appearance on live TV shows. Another well-known face of Ripple Labs is the company Chairman – Chris Larsen, who also makes regular TV appearances. At the time of writing in July 2018, there are 60 billion Ripple coins in circulation of a possible 100 billion. The main issue with this is that the remaining 40 billion (40%) are held and controlled by Ripple Labs. This is a significant percentage, which is why some people call Ripple “centralized”. If Ripple Labs issue, or even worse, sell a really large amount of XRP on the open market, then it would potentially cause its price to go down. This is very different to Ethereum, because the Ethereum Foundation are not in control of such a significant amount of coins. So, now that you know the main leaders behind each project, the next part of my Ripple vs Ethereum guide is going to look at how each blockchain reaches consensus. Ripple vs Ethereum: Reaching Consensus? If you have read my Ripple vs Ethereum guide to this point, you now know that they are both decentralized, meaning that no third party or intermediary is required to verify and confirm a movement of funds. However, both blockchain projects have their own way of doing this, which I will explain below. Before I do, I just wanted to briefly explain what I mean by a “Consensus Mechanism”. As blockchains don’t have a central system that confirms transactions, they instead distribute this responsibility to multiple devices. In the world of cryptocurrency, these devices are called ‘nodes’. Before a transaction is confirmed and posted to the blockchain, a certain percentage of nodes must all agree that everything is valid. When they reach an agreement, this is called ‘consensus’. To do this, the network relies on a cryptographic algorithm, which ensures that people actually have the funds that they are trying to send, as well as ensuring that the same funds are not spent twice. Let’s start by finding out how Ethereum reaches consensus! Although Ethereum was created six years after the first ever cryptocurrency, Bitcoin, it still uses the same consensus mechanism, called “Proof-of-Work”. The easiest way to understand how Proof-of-Work functions is to think about a very complex puzzle. The Ethereum blockchain creates a random puzzle that is so complex that no human could solve it on their own. As a result, ‘nodes’ are required. Every node that is hooked up to the Ethereum network attempts to solve this puzzle by trial and error. This means that the device keeps on guessing the answer to the puzzle until it is able to get the answer correct! As soon as it does, the network can confirm that the transaction is valid. It’s a bit like a game, because whichever node is able to find the answer first gets the reward, which is Ether! Essentially, the more computational power that the person decides to contribute, the more chance they have of winning the mining reward. The Proof-of-Work model used by Ethereum is actually slightly different to Bitcoin, because it uses something called “Ethash”. Ethash was installed to prevent people from using expensive hardware called ASIC’s. This is a major problem with Bitcoin, as those with the most money always have the best chance of winning the mining reward, because they are able to purchase large amounts of ASIC’s. This has resulted in just 4 mining pools regularly controlling over 50% of all the Bitcoin rewards. Ethash ensures that only basic GPU’s can be used to mine Ethereum, meaning that it is a much fairer system. However, in March 2018 it was reported that ASIC manufacturer Bitmain are in the process of building an ASIC that could be compatible with the Ethereum network. One of the main issues of the Ethereum Proof-of-Work Model is that it is not able to scale a large amount of transactions. In fact, the network is only able to scale a maximum of 15 transactions per second. This isn’t anywhere near the kind of levels needed for Ethereum to scale on a global basis. The good news is that the team are working on this. It is hoped that moving to a new consensus mechanism called Proof-of-Stake, as well as installing two new protocols called “Sharding” and “Plasma”, will allow Ethereum to process thousands and transactions per second. So, now that you know how Ethereum reaches consensus, the next part of my Ripple vs Ethereum guide is going to look at how Ripple does it! Ripple has installed a consensus mechanism called Federated Byzantine Agreement (FBA). This particular model does things slightly differently to Proof-of-Work. A selection of nodes will only be required to trust a certain number of other nodes, which is called a “Circle”. The entire Ripple network is made up of many different circles, which overlap each other, meaning that in one way or another every node is connected. The most significant difference is that unlike Ethereum, which allows anyone with a GPU to help contribute to the network, Ripple uses something called “Transaction Validators”. The only people that can become a transaction validator is the banks that use the Ripple technology. Although this is still a decentralized system (because no single authority has control over the Ripple network), it does remove the “sense of community”, as seen in Ethereum. So now that you know how each blockchain reaches consensus, the final part of my Ripple vs Ethereum guide is going to look at how the projects have performed so far! First though, I have created a comparison table to highlight some of the differences between Ethereum vs Ripple. Both Ethereum and Ripple XRP have performed really well since they were first launched. The most important thing to consider is that they are not competing with each other. While Ethereum is concerned with smart contracts, Ripple is targeting the banking industry. This means that both projects can experience long-term success without worrying what the other one is doing! Let’s take a quick look at the amazing success of ETH. If you had purchased 100 ETH when it was released in 2015, it would have cost you a total of $283. If you had held this until January 2018, when it reached its all-time high of $1,389, your 100 ETH would have been worth more than $138,000! In 2017 alone, Ethereum increased its price by more than 10,000%. Although there are other smart contract protocols that can perform better than Ethereum (otherwise known as “Ethereum killers”), it is still the second most valuable cryptocurrency behind Bitcoin. However, for Ethereum to keep its place, it really needs to solve its scalability issues. No global network can survive at just 15 transactions per second, so it is hoped that the combination of ‘Proof-of-Stake’, ‘Sharding’ and ‘Plasma’ will happen without fail. Ripple has also had a very successful journey in its short lifespan, with XRP now being the third most popular cryptocurrency in the world. Interestingly, in January 2018, it briefly overtook Ethereum to become number two. In 2017, Ripple increased its price from a tiny $0.0065 at the start of the year, all the way up to a significant $2.40! This is an increase of more than 380 times. The overall aim of Ripple Labs was to allow their technology to service the multi-trillion dollar cross-border payments industry. Although they have only been operational for 6 years, they already have their xCurrent protocol installed by over 100 different banks. So far, Ripple have done deals with some of the largest banks in the world, including Credit Agricole, Santander and even the Bank of America! Although these banks are only testing the Ripple protocol, it is hoped that eventually financial institutions will use it for all of their inter-bank transfer needs. So, while Ethereum is concentrating of improving their technology, Ripple are focusing on continuously increasing the amount of banking partnerships they make. And that’s the end of my Ripple vs Ethereum guide! If you have read it from start to finish, you should now have a really good understanding of what each projects does and what sets them apart. Although both of these projects are utilizing blockchain technology, they are targeting completely different sectors. However, when it comes to comparing the actual performance of the two, Ripple is definitely the better blockchain. Not only are XRP transactions faster and cheaper, but they can scale much more than Ethereum. However, it will be interesting to see the result of Ethereum’s move to ‘Proof-of-Stake’, as well as their ‘Sharding’ and ‘Plasma’ upgrades. Who knows, maybe it will perform better than Ripple in the future! In my opinion, both projects have a very bright future in the blockchain industry. But what do you think? Are you confident that Ethereum will be able to improve its technology? Do you have a favorite out of the two? Whatever your thoughts are, feel free to leave them in the comment section below!